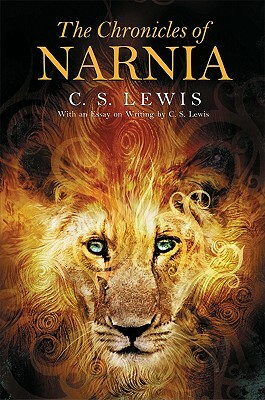 An impressive hardcover volume containing all seven books in the classic fantasy series The Chronicles of Narnia, graced by black-and-white chapter opening illustrations and featuring an essay by C. S. Lewis on writing. This volume also contains C. S. Lewis's essay "On Three Ways of Writing for Children." This edition presents all seven books—The Magician's Nephew; The Lion, the Witch and the Wardrobe; The Horse and His Boy; Prince Caspian; The Voyage of the Dawn Treader; The Silver Chair; and The Last Battle—unabridged. The books appear according to C. S. Lewis's preferred order and each chapter features a chapter opening illustration by the original artist, Pauline Baynes.